Do you know the benefits of eating papaya? Well, I didn’t until recently when I suddenly wanted to try it. I do remember that I thought it was gooey and yucky growing up and wouldn’t go near it. There was no way you were getting me to consume paw paw, as we call it. No thanks, mom! So with the evolution of my smoothie-making since getting the Magic Bullet, I started to take notice of this fruit. I read a few bloggers who love and swear by it and got even more curious. Then one day I reached for a can – YOLO stylez. Yes, the can; I’m not ready to buy and cut the actual thing up. Baby steps, folks. I’m actually very proud of myself to be dedicating an entire post to it. 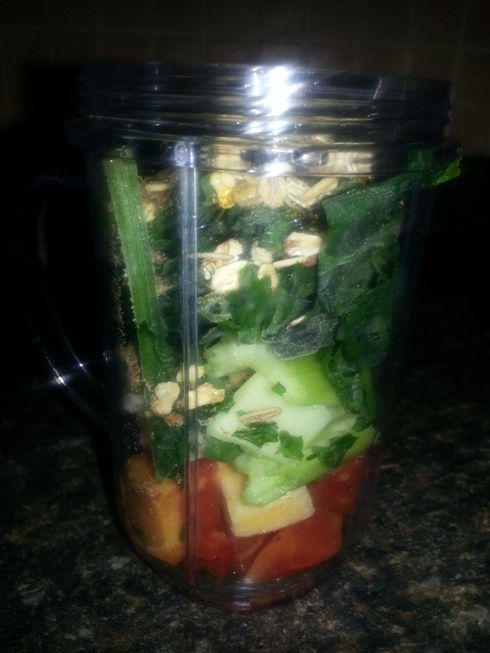 When I started adding it to my smoothie, I realized how yummy it is. It doesn’t really have much of a distinct taste that would gross you out and it blends beautifully to help give a nice consistency. Skin – it helps get rid of infections, acne and cuts that don’t heal quickly. Cholesterol – it helps lower blood cholesterol levels and contains enzymes that help prevent heart disease. Anti-aging – it contains antioxidants that control premature aging. Weight loss – low in calories and high in nutritional value, and can be easily added to your weight loss diet. Immunity – rich in Vitamins A and C that help boost immunity. Cleanser – mixed with cucumber and green bean juice, it cleanses the colon. Well, aren’t I glad I gave in to my curiosity? I will continue to include the chunks to my daily green smoothie as part of my overall health benefits and look out for any improvements I may notice. I have noticed that my annoyingly brittle nails are much, much stronger, and do attribute some of this improvement to my daily green smoothie intake. Adding papaya can and will only make it all the better. Do you use papaya as part of your daily consumption? What other ways do you use it? I know in soup to be a common way. Leave your comments below! I’ve tried to jump on the papaya train so many times but the smell of the fruit itself makes me sick so I know that consuming it is just not in the cards for me!! It’s the same with guava – unless it’s in a smoothie and the taste is overpowered by other fruits/vegetables, you can forget about it!! That’s why it’s good to start with the canned option! I myself *love* guava but you’re right; it is an acquired taste and smell. Umm..papaya comes canned!? Who knew? This is a great post. I didn’t know it had so many benefits. Dr.Oz once said that the perfect breakfast is papaya and a hard boiled egg. Hmmmm I do enjoy eggs… I’m guessing he meant the fresh fruit though. I’ll have to keep that in mind for when I do take that step and get it fresh. I’m quick to say I don’t like something when I’ve never even tried it. lol I really don’t know if I can do papaya or guava. I’m a creature of habit and don’t usually try new things. 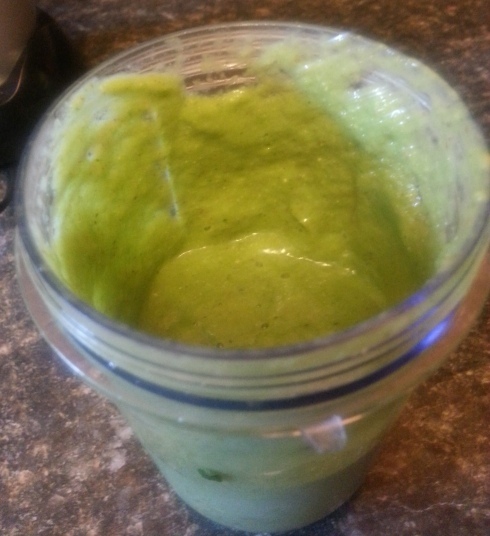 lol I know lots of people are doing the green smoothie thing, but oh gosh…it looks so gross. Sorry…it probably isn’t even as bad as I imagine it to be, it just looks bad. The benefits of papaya are awesome though. Hi! What else do you put in your papaya-containing smoothie? Looks good!! Hi Ev! 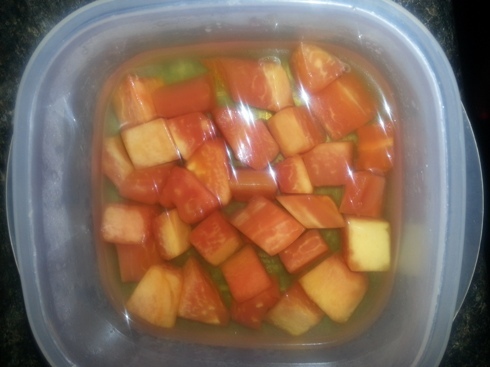 Along with the papaya I usually put almond milk, spinach, celery, flax seed, granola (sometimes) and whatever fruits I have handy (switched up: frozen berries, melons, bananas and/or mangoes). SO NOMZ! Love love love papaya especially in a smoothie! It really does help with digestion too! Great post! As a child, I loved papaya juice. Many years later I realize that my beloved fruit drink actually contained very little papaya and the juice of many other fruits – which is probably why I liked it. I am not a fan of papaya on it’s own, and don’t care much for the fresh fruit. The seeds can be dried and ground and they taste like mild peppercorns – but women who are pregnant or want to become pregnant should NOT eat the seeds. Someone also mentioned guava – another fruit that is amazing in juice, but not so great fresh – and guava is funny because ingesting the seeds tends to make you constipated, which eating the flesh has a laxative quality. I love your idea of adding papaya to smoothies though, because they are so good for you. Thank you for the info and great ideas! I didn’t know that about the seeds. Thank you Seph!